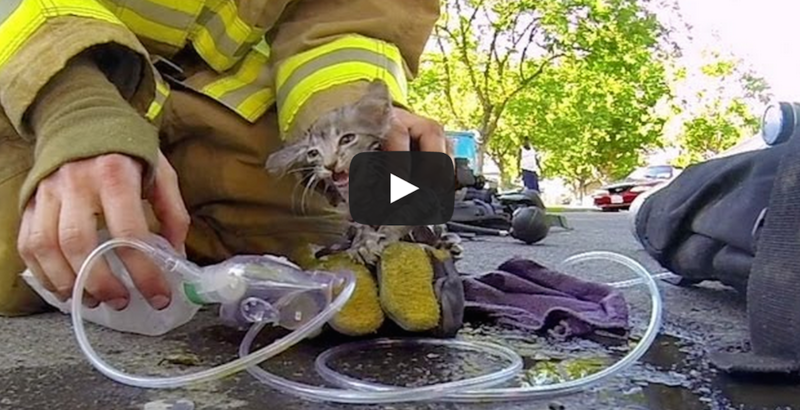 GoPro Captures Fireman Rescuing Unconscious Kitten From Burning House. Firefighters are amazing people put their lives on the line for not only humans but animals too! Fireman Corey Kalanick captured his heroic mission on his GoPro camera. Kalanick rescues and unconscious kitten from a burning house full of smoke. You can see the actual footage recorded on his GoPro in the video below. Thank you to all the firemen for your service and bravery! Giant Spider Prank Is A Must See, What Would YOU Do? Dad Refuses To Share His Sandwich – Now Watch The Big Dog In The Back!